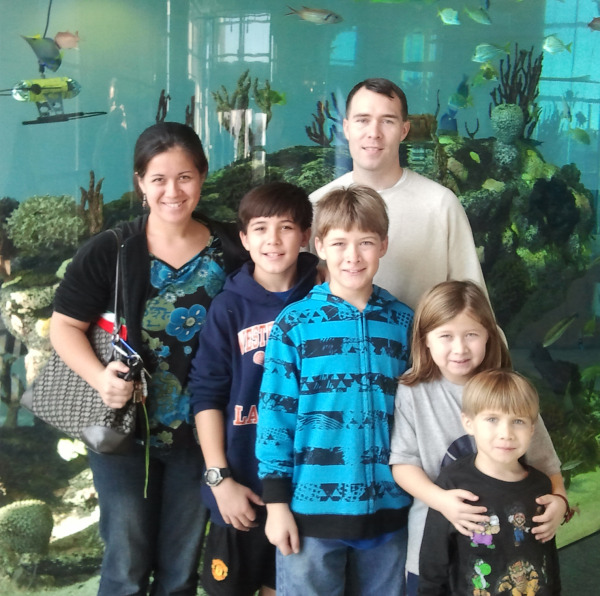 NFI Announces the 2012 Military Fatherhood Award Recipient! NFI received over 450 nominations from the wives, children, friends, and colleagues of our nation’s military dads. The votes are in and the public has picked its favorite dad...and the recipient of the 2012 Military Fatherhood Award™ is…Lt. William Edwards! 1st Lieutenant William Edwards of the U.S. Army serves at Fort Jackson, South Carolina, and he uses his musical and cinematic talents to stay connected with his four children before, during, and after his deployments. He also helps other military dads stay connected to their children by making special effects filled action/comedy films with them they can send back home. Edwards is intentional in teaching his children the values they need to succeed in life. Click here to watch Lt. Edwards’ home video, submitted by his wife and children, on why they think he was the best military dad! Thank you and congratulations to all finalists -- Senior Airman Jonathan Jackson, U.S. Air Force and Lieutenant Dennis Kelly, U.S. Navy. Their bases, along with Lt. Edwards’ base, will receive a fully-stocked Fatherhood Resource Center kiosk from FatherSOURCE™, NFI’s fatherhood resource center. Thanks to all the family, friends and fans who voted. Special thanks to Capital One, the lead sponsor of the 2012 Military Fatherhood Award™. Check out what they are doing for the military here. Also, special thanks to Huggies for their sponsorship, in which they will donate a diaper to the National Diaper Bank Network for every vote we received for the award, along with thousands of diapers to the Lt. Edwards’ base. Each year, NFI’s Military Fatherhood Award™ is given to a military dad who displays an ongoing commitment and dedication to his children, makes extraordinary efforts to father from a distance when deployed, successfully balances military and family life, and makes an effort to mentor other military fathers and/or military children who are separated from their fathers. Please visit National Fatherhood Initiative for more details regarding the upcoming award ceremony for Lt. Edwards taking place before Father’s Day.